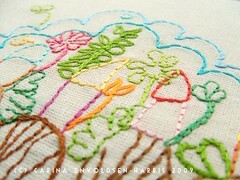 It's inspired by the Happyscape patterns (images below), with their flower-y, succulent-y plants. Just a bit of fun, really! 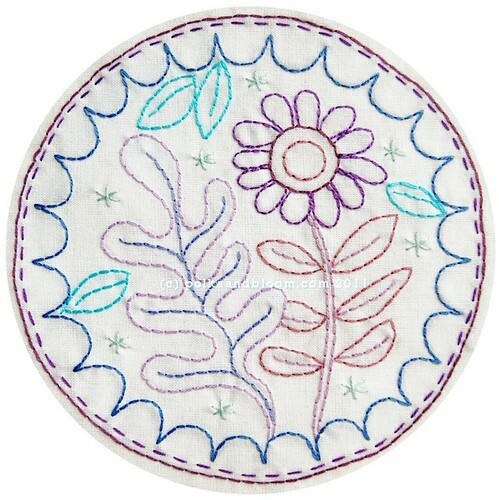 And this pattern only uses 3 stitches, mostly back stitch so it's quite quick to stitch. 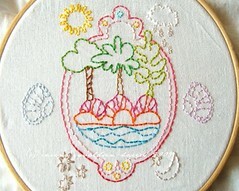 (Almost) instant stitching gratification, nice! Looks so much fun to do. It's a challenge but one that I'm up for. As you say, 3 stitches but instant enjoyment and great gratification!